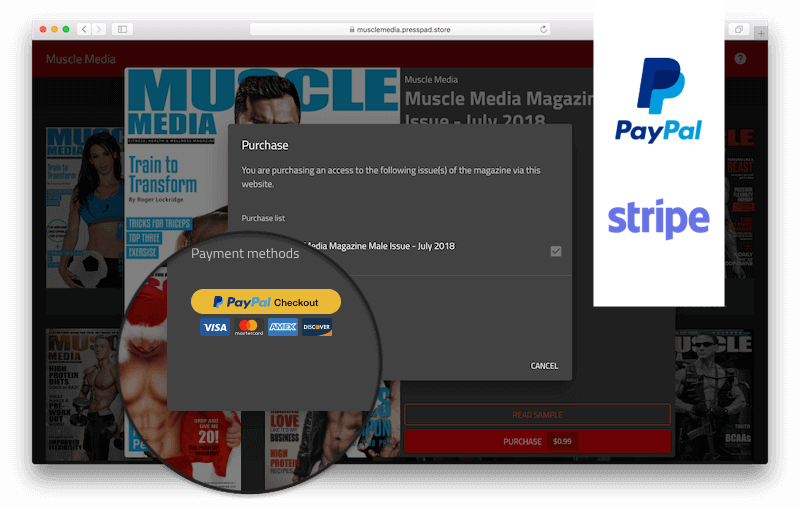 Have people buy & read your publication immediately in the browser. Sign up to reserve your seat. Upload your PDF files. Start your risk-free trial. online newsstand or book-store, quickly and easy. Create fast and start selling immediately. Scale the sales of your magazines, guides, books, comics and other digital content. Sell single items and auto-renewable subscriptions. Increase sales with our digital publishing software using your website or partner websites and blogs. Install your Store anywhere on the Internet — where your readers are hanging around. You can use YouTube videos to attract your readers and hyperlinks to let people navigate throughout your publication. 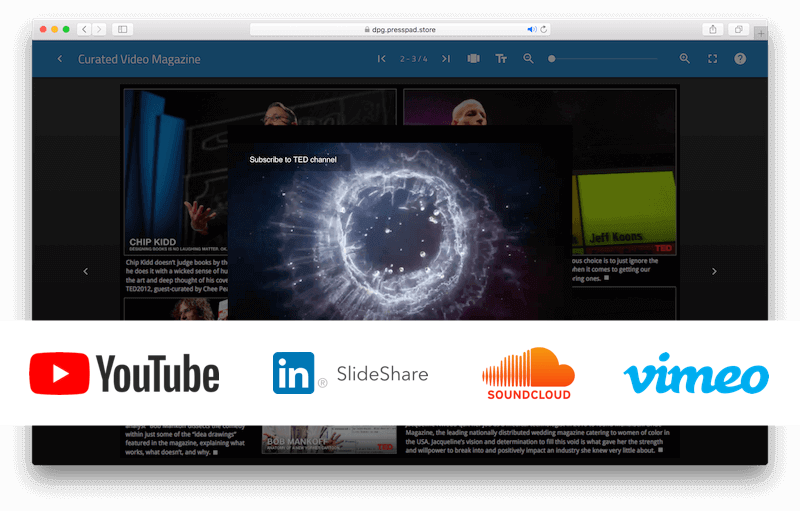 Link to Soundcloud, Vimeo and Slideshare content to sustain the attention inside your publication. Adjust the look of your digital magazine kiosk to your brand identity. Change the color palette and fonts in a handy way. Publishers of all kinds can sell their PDF publications online in a convenient way. "The goal for us using PressPad Store, would be to avoid sending any more PDFs, so those people can't share them, or post them on torrent sites for free downloading by others."